Day 6 – How do you win in the market if you don’t know the rules? Quinoa is entering into Stage 3, Maturity in its product life-cycle. This is where Stage 2, Growth, is now coming to a grinding halt as the market becomes saturated with product and prices begin to fall due to the increased competition and easy availability of product. Until this year, Bolivia was the largest quinoa producer in the world. Coupled with Peru it made up 92% of the world’s quinoa supply. Now new quinoa producing countries such as Ecuador, the US (Colorado and Nevada), Canada (Ontario), and Argentina are entering into the market devising new ways to grow this high protien Andean grain which loves cool, dry salty soils and plenty of sunlight. These four countries make up 8% of quinoa production. Even Kenya and the Indian Himalayan region are beginning to grow quinoa. 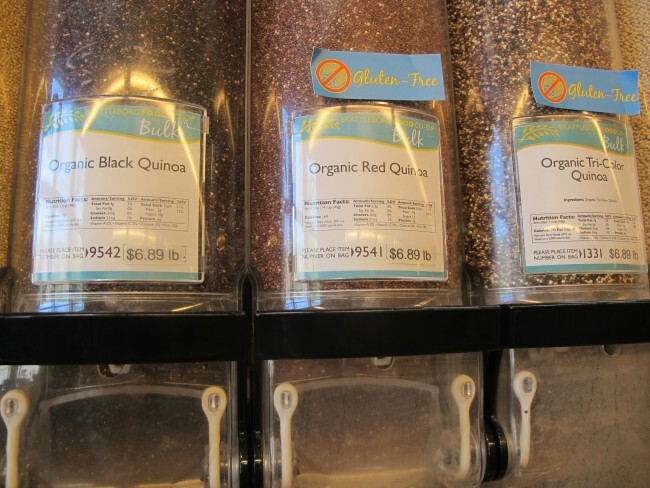 Consumers now have many more options when it comes to purchasing quinoa. 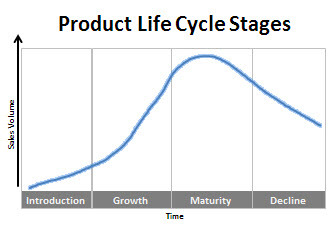 When product supply exceeds customer demand, as happens in the Stage 3 Maturity product cycle stage, prices go down. This is devastating for the thousands of small, highland Bolivian farmers whose sons left city jobs to return to the country-side to grow the lucrative grain and families who have taken out loans based on raising future prices of quinoa. Quinoa growers do not know about supply and demand curves. They just know that market prices have fallen. Organic, Fair Trade quinoa product. , and making its origin important. The government can help too by cerating internal markets such as school lunch meals and providing technical assistance and incentives for creating new in-country uses for quinoa. Meanwhile, without knowledge of market cycles and supply and demand curves, my Bolivian counterparts report that today’s quinoa growers feel that people are lying and cheating about the low quinoa prices and the others are trying to undermine their sovereignty and well being by suddenly dropping these prices. I will study this more closely when I get to Bolivia on Friday. 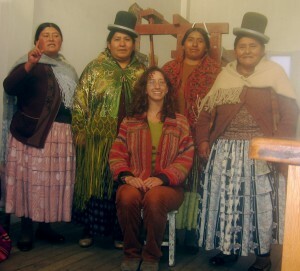 Tomorrow’s blog: Delicious authentic quinoa recipes – from Bolivia! The co-op can tolerate some price fluctuations in the quinoa and prefers organic and fair trade options over conventional quinoa thought at different rates and for different reasons. The buyer believes his quinoa consumers in particular are very health conscious and will purposely seek out organic quinoa. He also feels that the product’s taste, it being an alternative to gluten and not containing arsenic (which gluten free rice sometimes has) also makes it appealing to his customers. 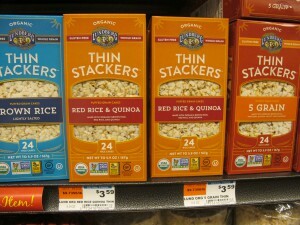 Because of this, the co-op buyer believes he can tolerate a 33% to 50% price difference for a conversional versus organic quinoa variety meaning that even when conventional quinoa becomes available on the market (UNFI the supplier, does not currently carry conventional quinoa), unless it is heavily discounted, it will not be worthwhile for the co-op to purchase it. However, the buyer speculates that if there was an influx of much cheaper non organic quinoa in the market, he might carry some in lieu of the slower selling quinoa varieties he currently carries such as the black quinoa which he sells the least of. 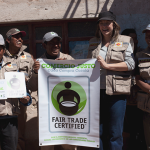 Andean Naturals supports Fair Trade certified quinoa. 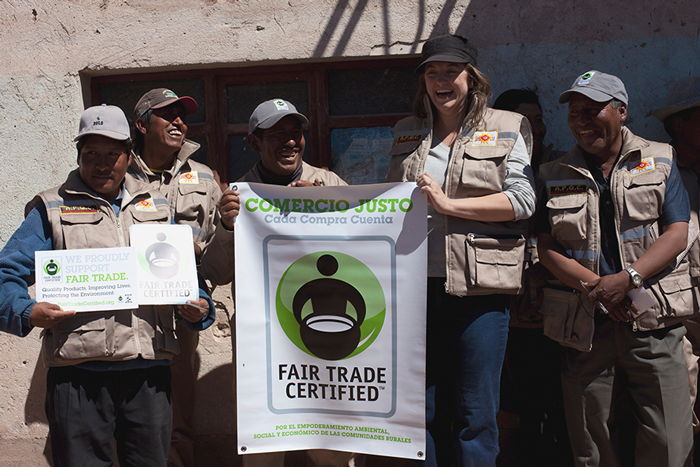 Fair Trade, the co-op buyer feels, is a bit of a harder sell because of the lack of clarity as to what Fair Trade actually is and who is upholding the principles the best. He notes that though people are aware of the quality of life of others, what is most important to them is the quality of their food. Because of this, he fees he can accommodate a 10% price difference for an organic Fair Trade quinoa option (which does not exist in bulk quinoa yet) but would also have to have more literature or information explaining the Fair Trade difference in a more transparent way. Quinoa sold in bulk at the co-op. 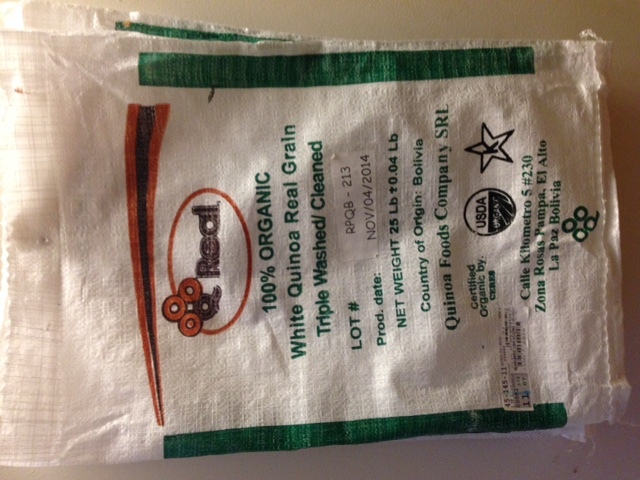 A 25 pound sack of organic white quinoa real (pronounced ree’-al) from Bolivia is sold loose at $6.69 a pound. (While we’re thinking of pronounciation, quinoa is pronounced: keen’-o-ah). The co-op bulk buyer purchases red, black and mixed quinoa, though the white quinoa is the most popular. 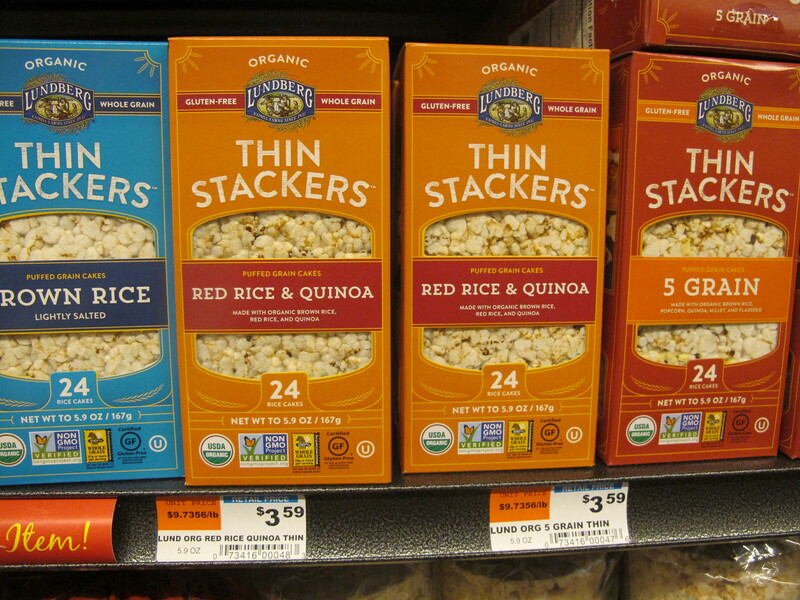 For simplicity, this study follows the more popular USDA certified organic quinoa real. The sack of quinoa I am tracking was purchased from United Natural Foods Inc. (UNFI) in May 2015 for $88.85, representing a $167 retail value for the co-op. This 47% mark up is typical for the products sold in bulk . Each week the co-op purchases about one to two sacks of quinoa real from UNFI. 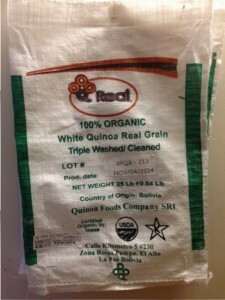 In total about six bags (151 pounds) of quinoa real were sold in loose bulk at the co-op for the month of May, representing 118 individual transactions at an average of 1.3 pounds each with a retail cost of $8.70. The co-op buyer reports that loose quinoa sales and prices, both wholesale and retail, have stayed steady at the co-op over the past year or so. Tomorrow’s post: The co-op quinoa buyer talks about the difference between organic, fair trade and conventional quinoa, costs and consumer demand. It has been erroneously reported that the raising cost of quinoa has resulted in quinoa shortages in country and Bolivian’s not having enough nutritious grain to eat themselves. Don’t worry. It’s actually the opposite which is true. Bolivia is consuming more qinuoa internally than ever before. Once shunned as a “backward food from the countryside” and banned by the Spanish, quinoa is now in mode in Bolivia as even wealthy elites are consuming it regularly. In the countryside, people grow their own quinoa as subsistence farmers. This production never makes it onto the market because it is used for the families’ own consumption. The government is also buying vast amounts of quinoa to make into cookies and nutrituous melas for free public school lunches. So there is plenty of affordable access to quinoa for Bolivia and they are consuming more of that grain now than ever before.